Most people are always keen to save money. No one wants to spend unnecessarily, so why not take that mentality forward with you when the time comes for you to move house? It’s always possible to make savings when you’re moving, but most people don’t take advantage of these. That’s a mistake, and one that can be easily avoided. Read on to learn about the kinds of savings you should be making when you move. There are plenty of things you can get for free if you’re willing to seek them out. Cardboard boxes offer the best example of this. You can head to any retailer or warehouse and ask if they have any boxes that they don’t need. You’ll find that they’re more than happy to give them to you, so don’t buy boxes. If you don’t contact your internet service provider until the day you move to cancel your contract with them, you will end up paying for wifi even after you’ve moved out. That’s why you should contact them earlier and arrange for it to be cut off at the right time. A few weeks before the move take care of this. You will save money because you won’t have to pay for wifi that you won’t even be using. Moving all of the possessions you own can be an expensive task. You either have to hire a moving company to do the work for you or rent a moving truck to take everything. However, there is another cheaper option that you might want to consider. Places like myBekins storage facilities could be useful to you. Pack up your truck and/or car and move everything you can fit in there, and then put what you don’t need right away in storage so you can get it later. There are so many fees that you will be hit by when you’re moving house. Sadly, most people simply accept these fees and don’t stop to question them. That’s a mistake, and you will need to ensure you don’t make it when you’re moving. Always question the fees and chargers that come your way. You’re perfectly within your rights to negotiate them, and you will be successfully more often than you think when you do that. There is usually no need to pay people to help you on the day of your move. It’s often a lot easier to call in all of those favors that you’ve stacked up over the years. Your friends and family members will probably be willing to help you with the heavy lifting if you can’t do it alone, and don’t be afraid to let them help. It will make the process much faster and smoother for you. And crucially, you’ll save some money. Moving to a new house might be stressful and difficult, but it doesn’t need to be as expensive as you might think. 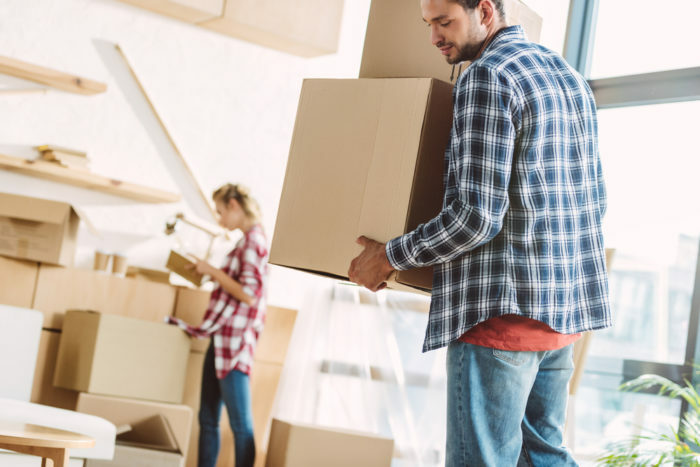 Make the most of these ideas next time you’re moving. Great tips I will use to save for my first home.